The most luxurious helicopter interiors are designed to impress. In some cases, flying via private jet may be over your price range. In that case, the next best alternative to flying private and in style is a helicopter. Take a look at our selection of some of the best helicopter interiors that keep luxury in mind. The Augusta Westland AW101 VVIP combines the most advanced technologies, manufacturing expertise and aircraft design. This helicopter has both military and civil applications. It features the largest cabin in its class that resembles one of a private jet and can transport up to 30 passengers. Its top speed is 192 mph, and the range is an impressive 863 miles. 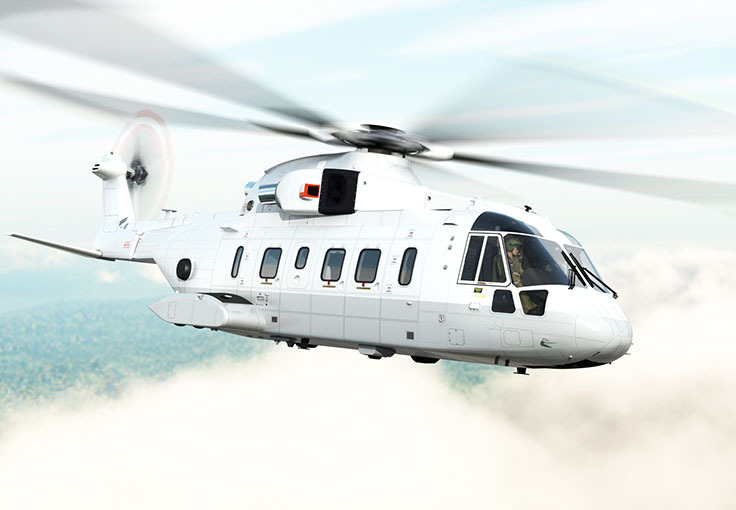 Augusta Westland AW101 VVIP leading features include: high levels of safety, reliability and availability, extensive range of interior furnishings and systems, exceptional levels of cabin comfort; low noise and vibration with air conditioning, just to name a few. 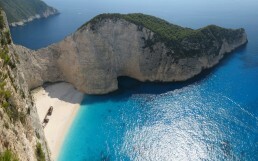 Zakynthos, or Zante in Italian, is a beautiful Ionian island off the west coast of Greece. Zante is a holiday destination that is so diverse it can cater to visitors looking for wild summer nightlife and those that prefer to experience the quiet, natural side to the Greek islands. Travel by private jet to Zante to start of an amazing experience complete with natural wonders, exciting nightlife and luxury accommodation. 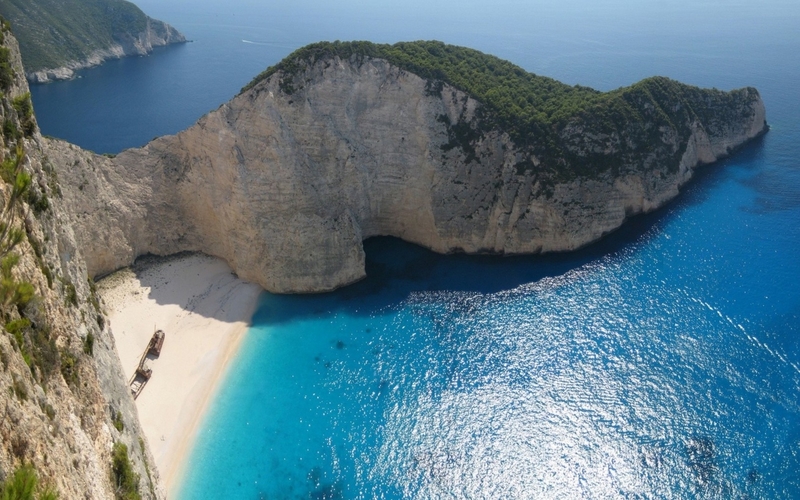 Navagio or the Shipwreck Beach can only be reached by boat and is one of the most photographed beaches in the world. There, a rusty shipwreck sits on a spectacular white rocky beach that contrasts against an intensely turquoise sea – all set against a background of dramatically steep rocky cliffs. Also on the west coast you’ll find the fiords of Porto Limniona and Porto Roxa, Porto Vromi bay with its little island just in front. You can spend days exploring the rest of the beaches on the island. The east coast of Zante has a variety of beaches lining its coast. Sandy beaches can be found in Tsilivi, Alykes and Amboula. To the north there are more rocky landscapes that are equally as picturesque including Xigia Beach and Makris Gialos. 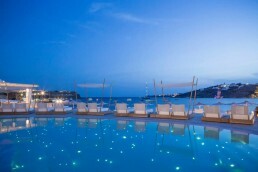 Taking the private jet to escape for a weekend in Mykonos, Monaco or Ibiza? Having the perfect weekend travel bag is part of your style. Who wants to pull around a big suitcase or look like a teen with a frumpy backpack? There are travel options that are sophisticated yet practical for private jet and helicopter travel. Consider our jet-set travel bag tips to find the perfect weekender luggage right for you. Pack Easy. Pack with Style. It’s summer in Greece. 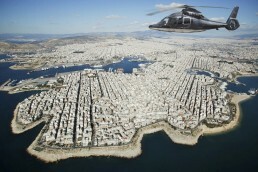 One way to conveniently get to all of those picturesque islands is via empty legs in Greece. Empty legs allow you to fly privately and affordably. Like anywhere in the world, empty legs in Greece are available at discounted prices when a private aircraft would otherwise be empty. An empty leg is an empty private jet seat. Why does this happen? Well, private flying is a bespoke and often luxury service. There will be instances when the aircraft’s operator cannot book all the seats on a flight. It can be a challenge to find a full-price client that happens to want to fly on a particular private aircraft, to a certain destination and during a certain time. Since the plane is set to take off anyway, the empty seats can be offered for a big discount instead. If you can find them, then you got a deal! Where Do I Find Empty Legs in Greece? In Greece, Greek Air Taxi Network (GATN) which is run by Air Business International (ABI) offers empty leg flights on privately chartered jets and helicopters. With a well-connected network of available private charter aircraft, GATN can offer the most competitive empty legs in the Greek and Mediterranean market. ABI and GATN both list all empty legs available throughout Greece and the Greek islands on its homepage. You can also opt to use each company’s Smart Banner tool which finds the flight that suits your travel needs. Where Can I Fly in the Summer? 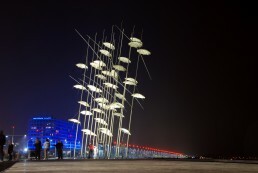 Whether it is summer or winter in Greece, empty legs are available and accessible through the right portals. 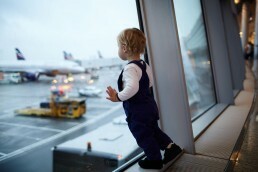 If you are a flexible traveler they are proven cost-effective means of experiencing and accessing private jet travel. Sometimes you can combine an empty leg with airline flights. Empty legs can be worked into a private charter schedule as well. 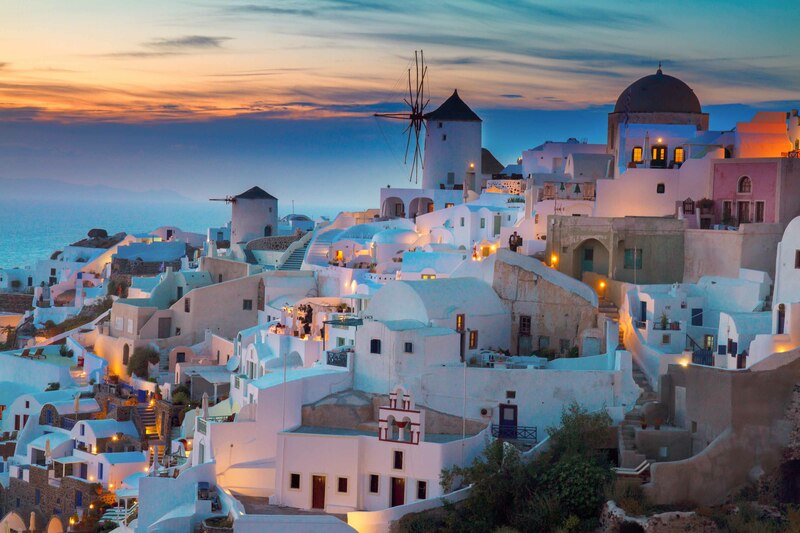 If you are traveling in Greece there are so many places to “hop” to via private jet or helicopter that will be worth your time, money and will pay you back with incredible holiday experiences. For example, you can easily island hop across the Cycladic or Ionian islands. Private air travel is also very convenient for those that want to see an island for a day and don’t want to waste any time traveling by other means. Ferries can take many hours. Waiting for flights, especially when there may be only one a day to your island of choice, can be extremely time consuming considering the total commute, including airport transfers. A private flight means no service or baggage lines, excellent service and drop-off and pick-up in the most convenient spots to see the destination of your choice right away. Your vacation time is precious so it is important you don’t waste a minute of it! With private charters, going international is easier than ever. If you are planning to jet-set to Mykonos and want to take off to other glamorous island destinations like Ibiza or San Tropez, the GATN is experienced to get you on the right flights with the best service.